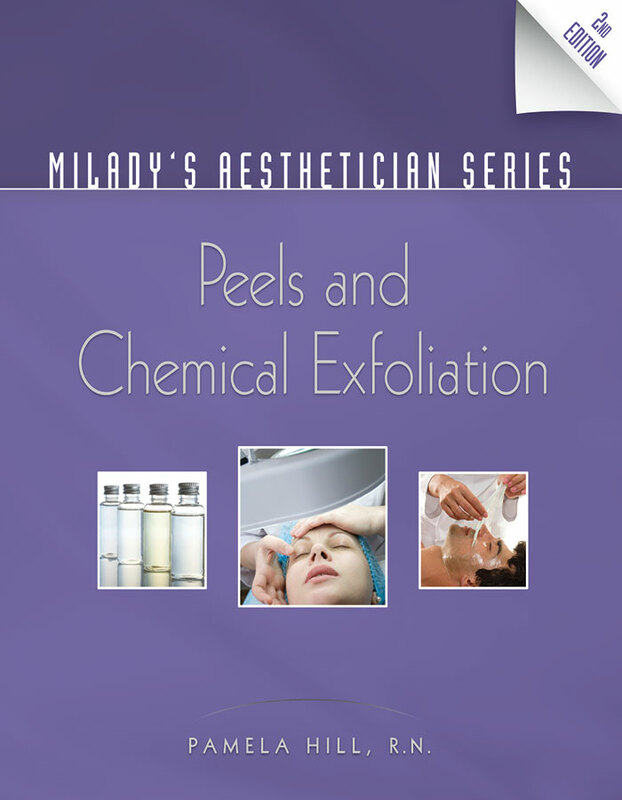 Peels and Chemical Exfoliation, from Milady’s Aesthetician Series, successfully exposes the reader to a broad understanding of the use of specific peeling agents and how they react on the skin. In this text, the author addresses the advanced educational needs of aestheticians and nurses in such settings as medical skin care facilities, day spas and resort spas. Through specific case studies, clinicians will improve their knowledge of the peeling process. These studies validate and underscore the clinical information. Unique to this publication is an expanded chapter dedicated to peeling agents, indications for use and predictable outcomes. Finally, policy and procedure guides show the clinician, physician or facility how to implement ideas and programs. Improved skin typing processes that help to improve the outcome of each treatment. New peel treatments and solutions that improved treatment results. Updates in peel indications help the aesthetician to choose the correct solution for the problem they are trying to solve. Advanced educational information is highly relevant to today’s environment.